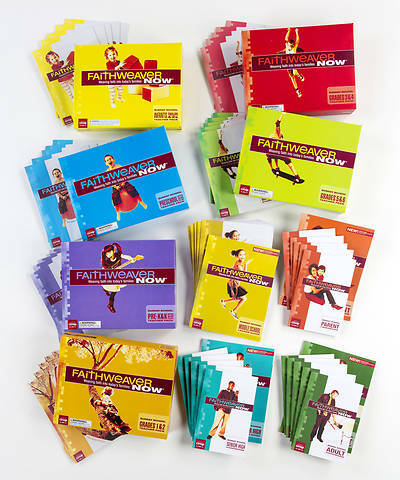 FaithWeaver NOW® Super Value Set ($577 value if purchased separately) includes one each of all 10 age-levels' Teacher Pack or Leader Guide and 5 of each Student Book including Adult and Parent materials! WARNING: CHOKING HAZARD - Not for children under 3 years of age without adult supervision. Adult assembly required.This contains a small part, small ball or marble.